A majority of first-time homebuyers say they maxed out their budgets when they bought their homes, according to a survey released today by the Canada Mortgage and Housing Corp. The country's real estate market may be taking a breather, but a new survey suggests the vast majority of recent homebuyers are maxing out their budgets to purchase their first homes. In its annual mortgage consumer study, Canada Mortgage and Housing Corp. found that 85 per cent of first-time buyers reported spending the most they could afford on their property. Despite this, 76 per cent say they were still confident that they would be able to make their monthly mortgage payments. Sixty per cent of first-timers and 69 per cent of repeat buyers reported having "sufficient assets" such as investments or other properties to help them if they were to run into financial trouble with their mortgage. The federal housing agency, which has been conducting the survey since 1999, says housing affordability continues to be the most important factor cited among first-time and repeat homebuyers, when compared to other factors such as a property's neighbourhood, proximity to work and condition. More than half of those concerned say their top worries included unforeseen costs, paying too much for their home and rising interest rates. The Bank of Canada has raised its key interest rate target four times to 1.5 per cent since July 2017. It is widely anticipated that the central bank will announce another hike at its next meeting on Oct. 24. Some housing markets across the country have already been feeling the cooling effects of higher interest rates coupled with some recently introduced measures like the new mortgage stress test and a 15 per cent foreign buyer tax in Ontario. 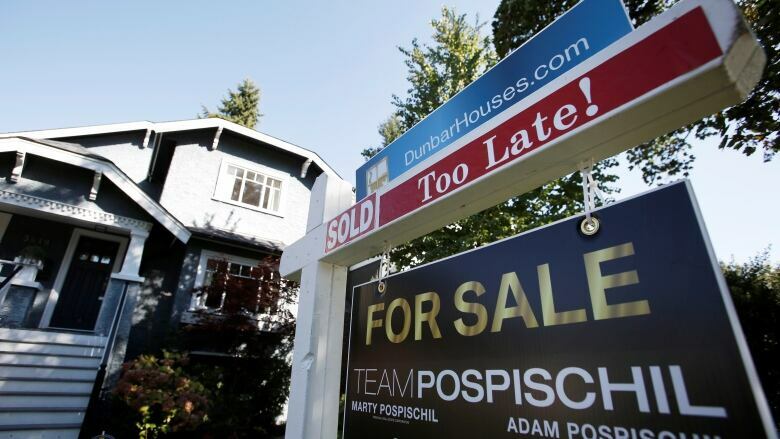 Earlier this week, the Canadian Real Estate Association reported that national home sales fell for the first time in five months in September amid weakening markets in Vancouver and Toronto. Despite prices also flattening, the outlook on the national real estate market remains positive. The CMHC survey found that 80 per cent of homebuyers polled still believe that buying property is a good long-term financial investment. Sixty-six per cent believed their home value would increase within the next 12 months. The online survey, which was conducted in April, polled more than 4,000 Canadians who became mortgage consumers in the last year. The polling industry's professional body, the Marketing Research and Intelligence Association, says online surveys cannot be assigned a margin of error as they are not a random sample and therefore are not necessarily representative of the whole population.